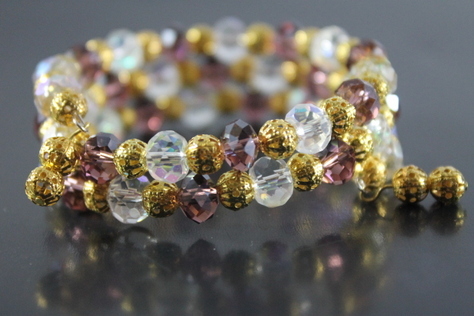 This gorgeous Handcrafted Purple and Clear Crystal Glass Beads, accented with Gold-tone Beads gently wrapped with a silver-tone memory wire. All pieces are designed by hand, therefore no two items are identical. That's the beauty of buying handmade. Condition is new.